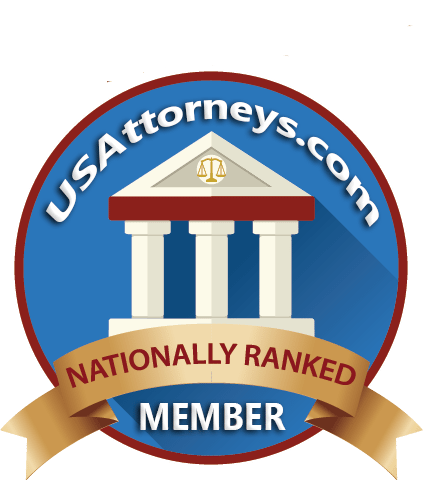 Who is the Best Personal Injury Lawyer or Attorney in Greenville, SC? 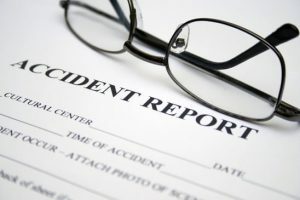 If you’ve been hurt in an accident in Greenville, South Carolina, you may be wondering “Who is the best personal injury attorney near me?” The Churdar Law Firm works closely with victims and families in the aftermath of car accidents, slip and fall accidents, and other injuries resulting from a company or person’s negligence or neglect. The personal injury law firm will take the time to understand your case, the circumstances of your accident, and the consequences of your injury. A qualified personal injury lawyer can review medical records, police reports, and any other evidence relevant to your case. The Churdar Law Firm only gets paid if you win. We can take a look at your situation and provide an honest assessment of your case. We can help you understand the value of your claim, your rights under the law, and fight negligent parties either inside or outside of court. If you’ve been injured in Greenville, South Carolina, you may only have a limited amount of time to make a claim under the law. You want a personal injury attorney on your side. The Churdar Law Firm is here for you. When hiring a personal injury attorney, you want a lawyer who will be a good match for your case. Every person’s situation and needs will be different, so it is wise to find a lawyer who understands the nuances of your personal injury and who understands the law in your area. Before choosing a lawyer to handle your case, you may want to meet and “interview” several attorneys. When meeting with attorneys, what questions should you ask to find the best personal injury lawyer in Greenville, South Carolina? Ask your attorney what experience he or she has with cases similar to yours and what you can expect to recover for your case. Personal injury law is varied. Slip and fall cases will be handled differently than car accident cases. The laws that apply to each of these cases differ. You’ll also want to ask your attorney how fees are handled. While personal injury lawyers generally don’t get paid unless they win a case on your behalf, it is important to get a clear breakdown of the fees you’ll face as your case unfolds. Typically, lawyers will collect a percentage of the recovery you win for your case. However, there also may be additional fees from money required to hire expert witnesses, get independent medical examinations, filing fees, medical records, and other important fact-finding and evidence-building needs. Before you retain your lawyer, ask how these fees will be handled. Will they be deducted at the end of the case from your recovery or will you be asked to pay for these fees as your case unfolds? You’ll also want to ask your lawyer who will handle the day to day aspects of your case. How easy will it be to reach your attorney? Will paralegals be responsible for some aspects of the case? 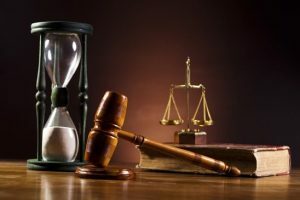 Understanding how, when, and where you can reach your personal injury attorney is important, especially in these cases because they are time-sensitive. Finally, you’ll want to ask your lawyer how often cases are tried in court. While many personal injury settlements can be reached outside of court without litigation, some cases need to go to trial. This might seem like a simple question, but it can make a major impact on the outcome of your case. Insurance companies generally know which lawyers take cases to trial and which do not. When fighting to get the maximum compensation permitted under the law—it sometimes helps to have a lawyer who is willing to take a case to trial—even if you don’t need to take the case that far. 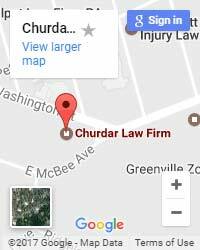 The Churdar Law Firm are personal injury lawyers in Greenville, South Carolina who work with individuals who have been hurt due to the actions of another person or party. Our firm offers free, initial consultations where you can get to know our lawyers and ask questions about your case. Contact us today to learn more. I Was Injured in An Accident in Greenville, South Carolina: What is My Case Worth? These are some variables that can impact your settlement. For example, a person who makes more money might be able to recover more than a person who makes less. Their lost wages will be higher. Your lawyer will also review pain and suffering damages. The more serious your injury, the larger these damages can be, though there are exceptions to this rule. For example, a person who is an athlete might suffer more from a broken bone than a person who lives a more sedentary lifestyle. All of these factors play a role in determining the value of your claim. If you or loved one was injured in an accident in Greenville, South Carolina, consider speaking to the Churdar Law Firm today. Our firm can review your insurance policy, your medical bills, pay stubs, and your accident to determine a fair estimate of what your case is worth. If you are being offered a lower settlement from your insurance or if there are negligent parties involved, you may be entitled to seek more damages to recover your losses. Visit the personal injury lawyers in Greenville, South Carolina at the Churdar Law Firm today to learn more and to protect your rights. You may only have a limited amount of time to make a claim. Act now.